I thought I would post here asking for help, before going off to Ebay, to order something from in the states with silly shipping charges and waiting a week or two for shipment. 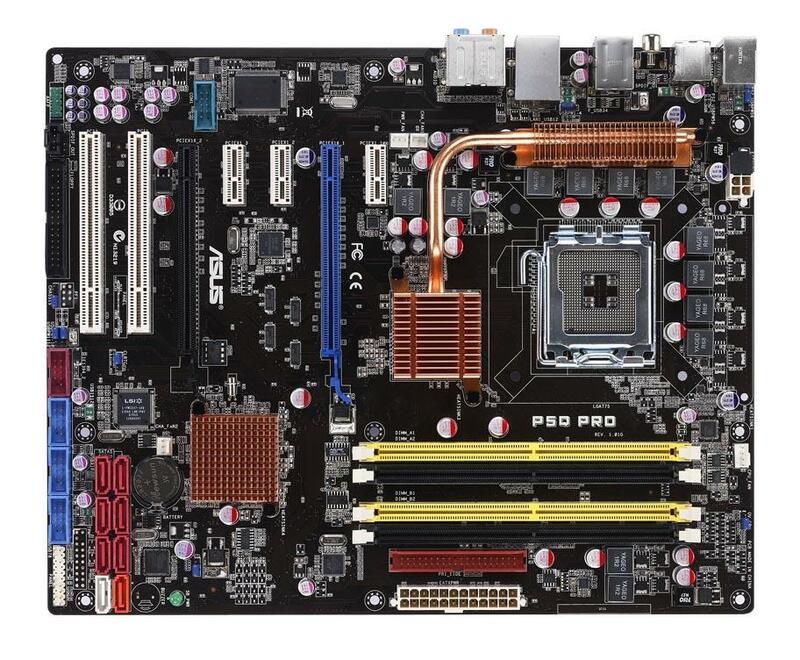 I had a bad bios flash on my Asus P5Q-Pro, rev 1.03G, (was using Ket's modded bios from Xtremesystems and tried to go back to an earlier bios) and after rebooting, got no POST. I tried all the clear CMOS stuff with no luck. I was hoping someone here may be local and be able to program it for me, or have the same model P5Q-Pro board and be willing to do a hot swap flash for me. I'd be willing to come to you anywhere in Toronto, as long as it's transit reachable. hmm, i think you are saying you would like the bios chip yeanked from the mobo? Casue, if you make a logical flowchart, you cant get anywhere with out a post or a bad bios that starts up first. No, it's a socketed 8 pin DIP chip, it's next to the ASUS, above & at the end of the 2nd PCI-E slot in this picture. It can be easily removed. And yes, a hot swap flash, means that another comp using the same board/bios would boot up, switch the chip out, and then run a flash utility, to load a working bios onto the bad chip. Problem fixed, found a guy in Toronto, Gerald at Biosxp.net - Soldered BIOS chip repair. Was able to see him tonight, and he reprogrammed my chip with the latest bios, and I'm back up and running. Recommend him to anyone if they have bad bios flash problems. Actually I can say I tried to do a hot flash years back, I messed up the bios on my Asus TXP4 and a good friend of mine had the same board. We booted his PC pulled his chip and put mine in but it gave a bios hook not found error when we tried to flash it. Tried a couple more times with same result until one of the legs on his chip started to break off at which point we stopped. Just ended up getting the same board again. Thanks for the link, I just killed my P35-DS4 with a bad BIOS flash and live in Ontario too. Hope he can help me. Last edited by malmal; December 30, 2012 at 12:31 PM.